Dapper Confidential recently reached out to us about products for strong beard growth! >>Check it out! 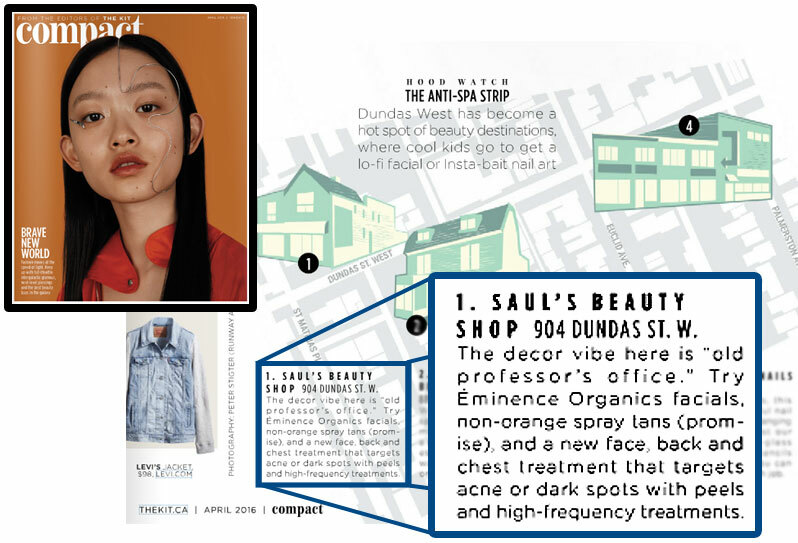 The Kit's Compact Magazine featured us at the first place to check out in their Dundas West piece! 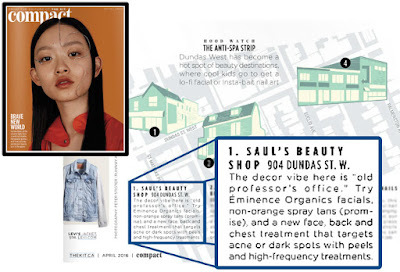 Air Canada's enRoute Magazine - June Croken listed us as her number 1 Top Five Favourite Spots in Toronto! 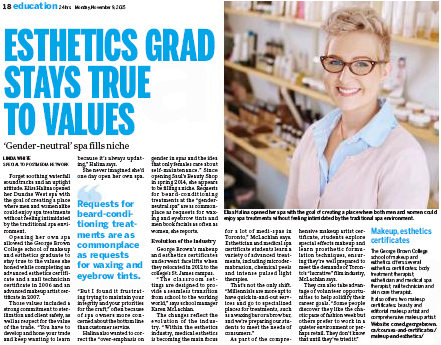 The Toronto Star - Eliss was interviewed in respects to her George Brown education and how it helped mold her career in esthetics! She was also featured in The Sun and 24 Hours! XOVain - tried out our custom back facials and were over the moon! 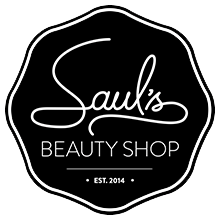 BlogTO - We have been featured us as one of Toronto's Top Ten Spa and Salon Treatments for Men, Top Barber Supply - esque shop and The Best Waxing Salons in Toronto!